After publishing yesterday’s blog post, Bill and I got to talking about encyclopedias. “Remember when people used to buy their encyclopedias from door-to-door salesmen?” Bill asked. I certainly do. 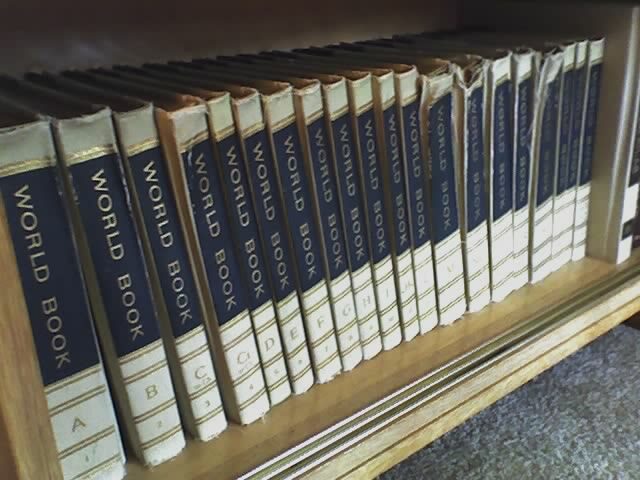 In fact, I would be willing to bet that the set of World Book Encyclopedias that lived on the bookshelf in our dining room in Columbus was purchased from just such a salesman by my mother. I wish I could ask her. (Kids, ask your parents questions NOW.) What I remember is that they were navy blue in color and were well-used. 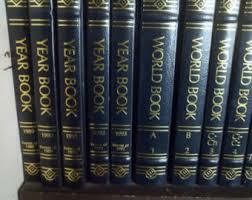 I’ll bet every one of the Gloor kids used our World Book Encyclopedia to do some sort of report for school. Each year Mom and Dad received a supplemental book that updated the facts based on what transpired the past year. The original set looked like this….. The annual updates looked like this….. I wonder what happened to those encyclopedias. Likely, my mom (who was so NOT a hoarder) threw them away during one of their moves. Or they ended up in someone’s storage shed never again to be seen. Thinking about our set of encyclopedias got me to recollecting just what else lived on that bookshelf and have subsequently been tossed. Here’s a partial answer: Nancy Drew, girl detective; The Bobbsey Twins, boy and girl detectives; Trixie Belden, girl detective; and Cherry Ames, student nurse and detective. Is it any wonder that I am such a fan of mysteries to this day? 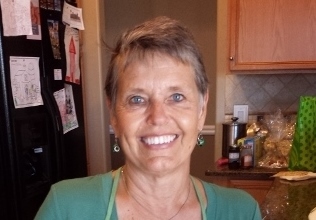 Do any of those detectives ring a bell with other baby boomers? 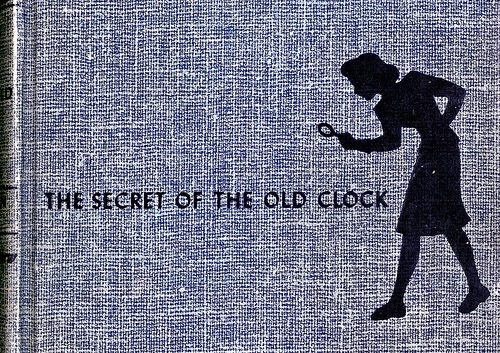 Of course, I’m sure many of you have heard of Nancy Drew. In fact, I’m pretty sure you can still purchase Nancy Drew mystery novels today; I think I’ve seen them at Costco. But just who was Cherry Ames? She was the mystery-solving nurse who almost inspired my sister Bec to become a nurse (until she reached the post-Cherry-Ames-age-of-reason and realized she couldn’t stand the sight of blood and since most nurses don’t actually solve murder mysteries, perhaps she should consider another occupation). 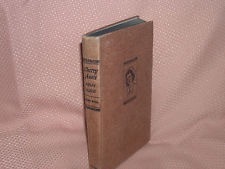 What I remember about Cherry Ames is that she wore crisp white crackling nursing gowns and had a very cool nursing cap perched on top of her curly black hair. And when she went from “student nurse” to “senior nurse” she got a black stripe. However, even envying that black stripe didn’t make me think I wanted to be a nurse. I throw up at the sight of throw-up. And, by the way, why don’t nurses wear caps anymore? I’ll bet many of you – even baby boomers – haven’t heard of the Bobbsey Twins. 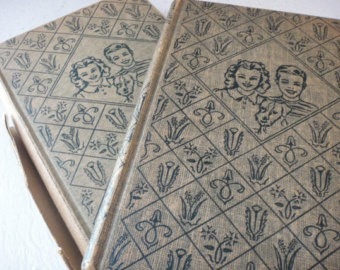 The Bobbsey Twins books we owned were very old and literally coming apart at the seams. Again, I wish I could ask my mom, but I can only think that she brought them with her into the marriage. We had the full set, after all. In fact, almost all of the books about which I’m writing were old and had broken spines. Was my mother a mystery fan? The Bobbsey Twins, by the way, were two sets of boy-and-girl twins –siblings — who, if not exactly solving mysteries, were at the very least involved in interesting adventures. 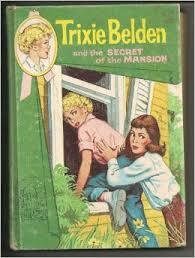 I think I’m the only one in my family who read Trixie Belden, and man, did I ever love her life! She lived in upstate New York and her best friend was a pretty rich girl with honey-colored hair, who was appropriately called Honey. I think of my gal Trixie whenever I read about the Catskills or the Hudson Valley. Before meeting Trixie, I didn’t know there was anything in New York besides NYC. I regret the passing of books such as these until I remember the wonderful books kids are reading today. Harry Potter, for example. You’ve always been a mystery book reader! Oh, Kris, you brought back such pleasant memories for me!! I read ALL of those series, including Cherry Ames (I remember her being a private duty nurse at one point), The Bobbsey Twins (I won a game of charades with the book title The Bobbsey Twins Indoors and Out) and even the Hardy Boys. Just loved reading series AND mysteries throughout my childhood and am still fairly partial to them today. 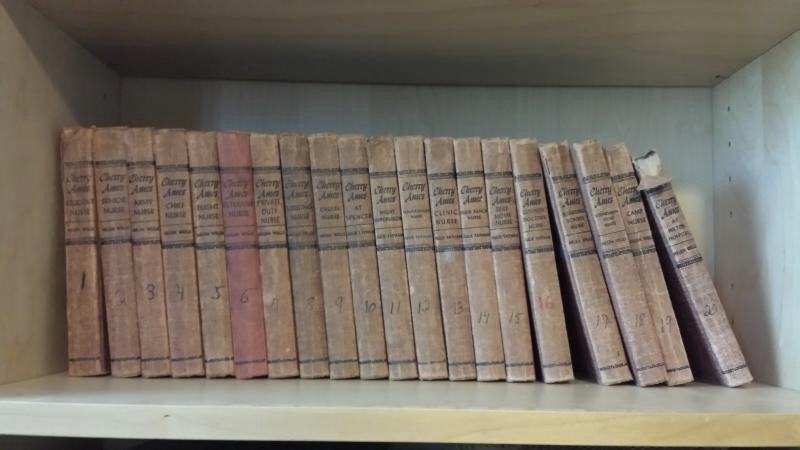 We couldn’t afford an encyclopedia set–even buying one volume at a time–so my parents bought us The Lincoln Library, a 2 volume reference set that helped all us Arsenault kids with many school reports. I can still picture the bookcase that held them and where it sat in our living room. Thanks for the memories, my friend! I knew you would appreciate this post!